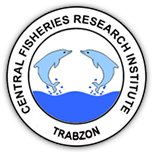 1 Ege University, Fisheries Faculty, Aquaculture Department, 35100 Bornova, Izmir, Turkey DOI : 10.4194/1303-2712-v19_9_07 Viewed : 329 - Downloaded : 685 Samples of the green unicellular microalgae Haematococcus Flotow 1844 were collected from freshwater ponds in Homeros Valley, Bornova Creek, Izmir, Turkey. Specimens were isolated using the micropipetting method and were microscopically examined for morphological features. One isolate was identified as a local strain of Haematococcus sp. In addition, Scenedesmus acuminatus (Lagerheim) Chodat 1902, Scenedesmus dimorphus (Turpin) Kützing 1834 and Chlorella elipsodae Gernerck 1907 were found. DMSO (dimethyl sulfoxide) extracts of the local Haematococcus strain contained ~ 3.6 % total astaxanthin in dry weight.